Noticed for his dynamic style Tony's remix works for Fedde Le Grand, Diplo, Chuckie, Matthew Koma, Imagine Dragons, Clockwork and Nicky Romero & Calvin Harris trusted this young energetic artist into the playlists and awareness of the likes of stars Djs. After several years behind the curtains as a producer, it was only in the summer of 2012 that his remix of Chuckie & Amanda Wilson - « Breaking Up » reached Top 3 on Beatport. There it is, Tony Romera is launched and his pin-up status among the Electronic music titans is indisputable (Kaskade, David Guetta, Martin Garrix, Tiesto...) Artists such as Calvin Harris, Diplo or Fedde Le Grand and many more line up to collaborate with the French youngster, making hits and building an impressive musical credibility. 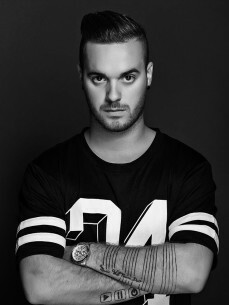 Tracks such as «Drakarta», «Damn Cold» «Bad Guys» alongside Gregori Klosman as well as « Hey Bean » are few of the world-renown tracks brought to us by Tony Romera. Tony Romera's performances in festivals and nightclubs across the planet have made him the beast he has become on the EDM scene worldwide. His ground-breaking sets, his meticulously chosen and powerful productions make him probably one of the most exciting DJ of the years to come.